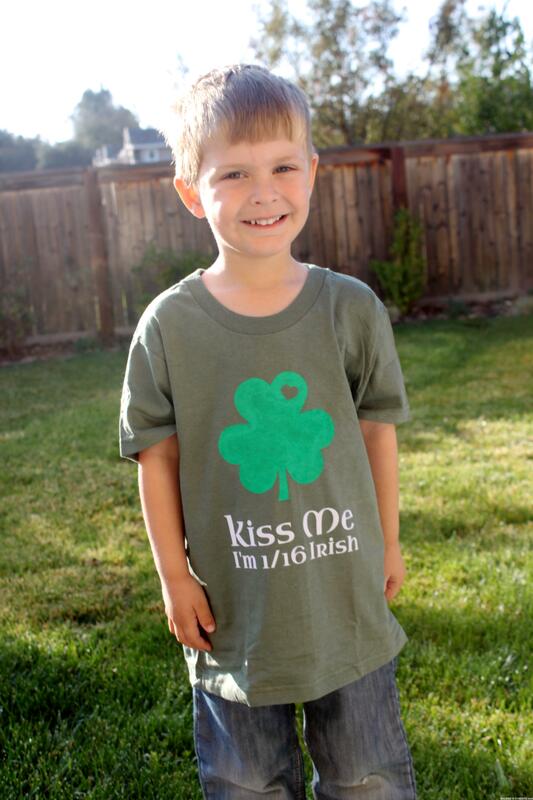 For St. Patrick’s Day I wanted to make my oldest son a shirt to celebrate his Irish heritage. 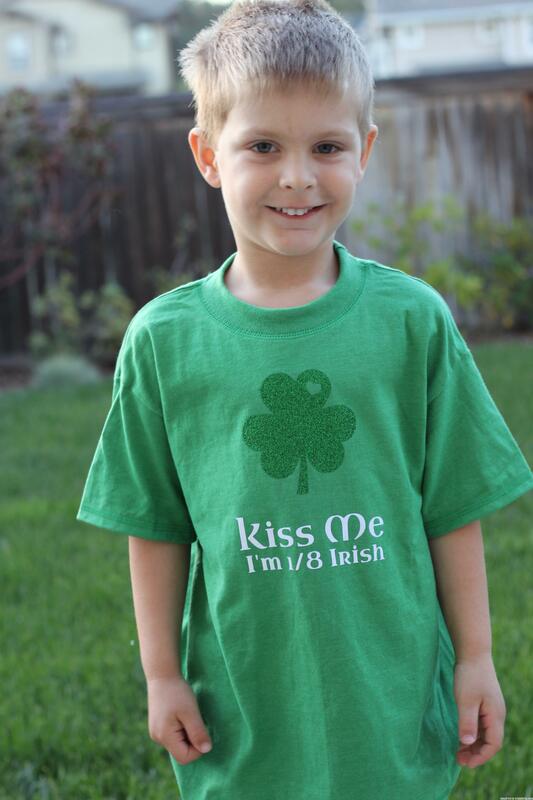 The first year I made the shirt, I didn’t find out until afterwards that he actually has Irish on both sides of his families, so that is why there are two different numbers on the shirts. The first shirt was done with fabric paint and flocked heat transfer material. First I designed it in Silhouette Studio. The shamrock and heart were just placed on top of each other and cut out using some scrap adhesive vinyl, making sure to have plenty of extra vinyl around the edges. Then the outer piece and the heart were placed on the shirt to form a stencil, then using fabric paint and a sponge, multiple coats of paint were applied. While that was drying I cut out the flocked heat transfer material for the words and then placed it on and ironed the entire shirt to heat set the material and the paint. The second shirt I made the following year was all heat transfer material. 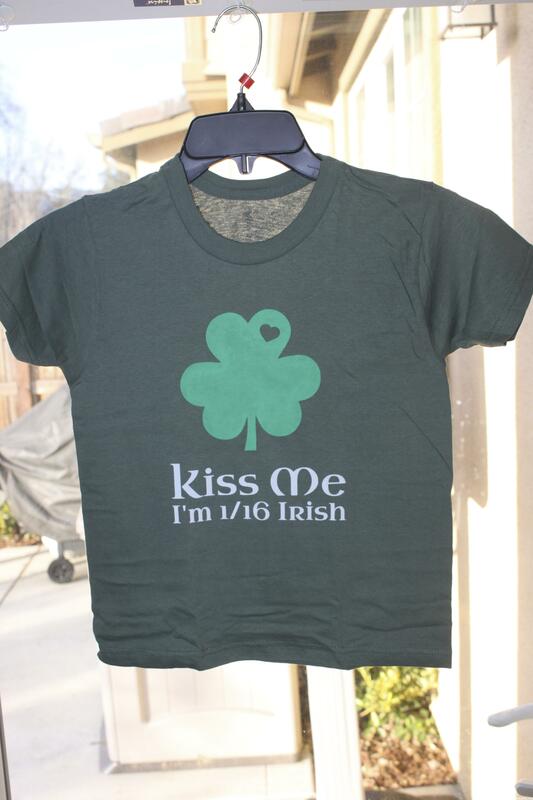 The shamrock is in glitter heat transfer material and the lettering is in flocked heat transfer material.